I’m a HUGE fan of bold lips right now. HUGE! Sometimes all you need to make a bold statement or to have a big beauty impact is a strong flash of lip color and some mascara. I’ve had a few bold lip favorites lip MAC’s Ruby Woo but I also like drugstore brands that can give you the same concentrated lip colors but at a lower price point. I was super excited and ran out to find the new Maybelline ColorSensational lipsticks in the Vivids. 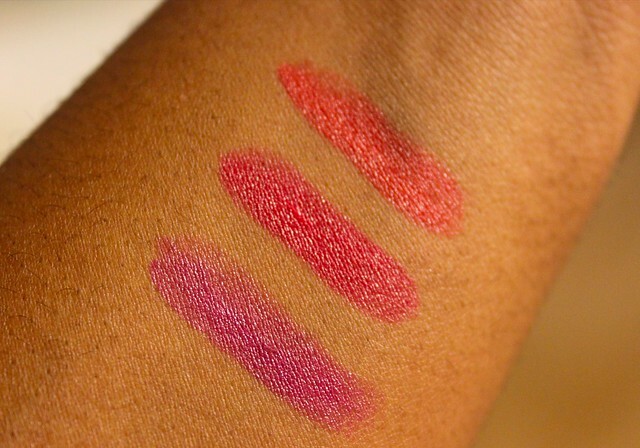 I picked up (from top to bottom) Vibrant Madarin, Wild Rose (my favorite) and Brazen Berry. I’ve been a fan of the ColorSensational line for a while and love the creaminess of the colors and the staying power. The fact that it’s now super powered full of vibrant color in a collection really makes me happy. Wild Rose is a gorgeously perfect hot pink that has become a staple in my makeup bag. I have a feeling Vibrant Madarin will be my summer go to bright orange lip and Brazen Berry is a very unique purple/vivid mauve shade that is suprisingly versatile. Have any of you picked up the Vivids? What do you think? I’ve missed your makeup posts! Wish I could rock a bold lip color, I always feel like a clown when I try. 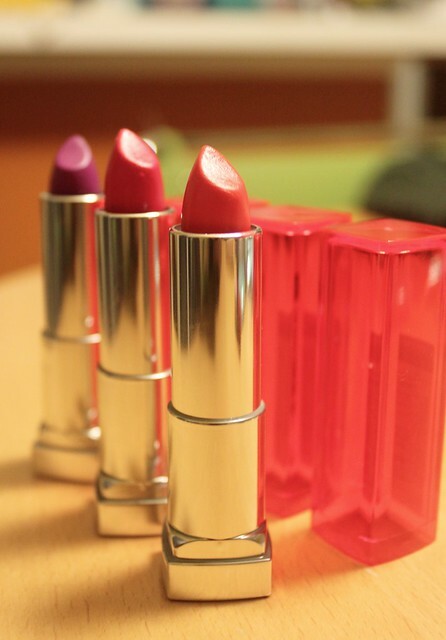 Have you checked out the new Buxom full-bodied lipsticks? I’m tempted to try those. I haven’t checked out the Buxom full-bodied lipsticks yet. I might have to add those to my list. I love a bright color right now. Today I’m rocking an Avon color, I was pleasantly surprised.